Throughout the ages, moral tales have been passed down from one generation to the next. Centuries ago in China, hundreds of parables were told by the Buddha to his devoted followers. His messages became widespread through fables adapted by famous storytellers like Aesop and La Fontaine. In this collection, the author has chosen ten of the most engaging classic tales from the Buddha’s works. 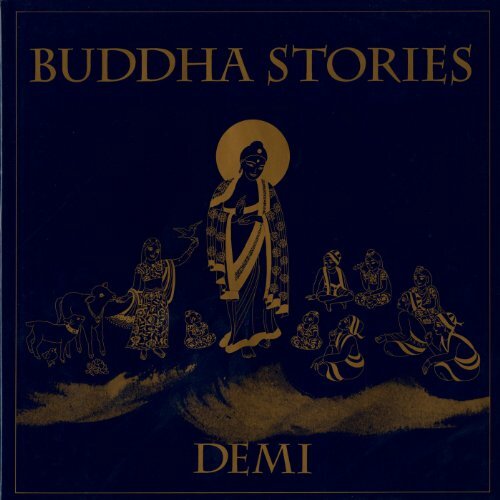 Compiled and illustrated by Demi, this wonderful collection of stories is sure to draw young readers into the ancient teachings of the Buddha, teachings that are as relevant today as they were over two thousand years ago. Some originals of the earliest Chinese-Buddhist sutras still exist–printed in gold ink on deep indigo paper. To see one is to sink into it. Demi, devout Buddhist and illustrator of children’s literature, recreates the stories in the form of a children’s book with smooth writing and stunning brushwork. These moral tales, taken from Jataka literature of Buddhism, relate engaging incidents among humans and animals that highlight a valuable lesson, each complete with a final moral. Children are sure to fall in love with this masterful combination of art and moral education.